"Nikos, what have you done?" 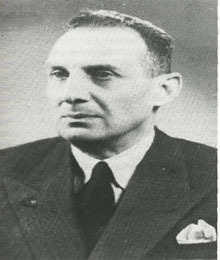 He is Nikos Koemtzis. He has killed three people and stabbed seven more, all because he wanted to dance to a song he had "ordered" from the musicians. He killed for a "Parangelia" (an order for a song). He transferred the story of his life to a book - "To makry (Long) zeibekiko ”. 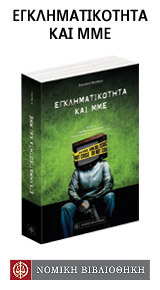 Dionysis Savvopoulos (a famous Greek singer-songwriter) read the book and turned it into a song. Pavlos Tassios (a well known Greek director) heard the song and made a film. Today Nikos Koemtzis, his past behind him, sells his story to make a living. Nikos was a petty, small-time criminal, born in a poverty-stricken part of Pieria , and persecuted from a young age for his left-wing political beliefs. His wanderings in a time of poverty and political persecution in Greece lead him to Thessaloniki , where he held various jobs, before moving on to Athens. He flirts with the underworld and illegality and goes to prison for the first time in 1967-68. In February 1973, during the dictatorship in Greece- and having just been released – he goes to a live-music nightclub (the bouzouki hall "Neraida"), with his younger brother Demosthenes and some friends. Demosthenes makes an order for a song to the orchestra; he requests a zeibekiko, a dance meant to be performed by one person, and gets up to dance. An "unwritten rule" of the times was that only the patron who made the order could dance. Three police officers, however, who were at the nightclub, and knew very well whose brother was dancing – interfere during his performance by dancing simultaneously. There is an altercation, and the police officers start beating Demosthenes. "It is an order (parangelia)!" shouted an incensed Nikos; who drew his stiletto: 3 policemen killed and 7 others wounded... He was sentenced to death and spent years awaiting execution ( he was on death row for 3 years). Eventually Koemtzis will be sentenced for life and in 1996 he was granted a grace. He remained in prison for 23 years. In prison he starts to read and learn to write. Nikos Koemtzis started, using his limited vocabulary to record his life-story in order to give material to his lawyer for his defense in court. His prose has a genuine "popular" flavour - without exaggeration, and his narration brings to mind the famous Greek general Makriyannis . He describes his life as a child. A story of great poverty, possibly the worst that could be experienced in an already damaged post-War provincial economy of Greece at the time. Nikos Koemtzis presents himself as a contemporary ‘Oliver Twist’ – although he almost certainly had never read the book by Charles Dickens! His father was declared a communist because he had taken to the mountains with the (Communist) EAM-ELAS brigades. In 1945 the "gendarmes" savagely beat Nikos’ father in front of the children, as well as their grandfather, a handicap from the war of 1913. Since then, Nikos Koemtzis detested anyone in a uniform, as he says himself. His father enters prison as a political prisoner during the Civil War and after his release the large family lives constantly on the move; persecuted "from village to village”, doing agricultural work to earn their livelihood. Poverty leads him to Thessaloniki where he spends his adolescence doing various jobs (he writes that because he was "sharp” and a “hustler", he managed to become the best "grocer" in the market). Later, in 1958, he descends to the capital. He is engaged but the engagement is dissolved because of police harassment troubles his fiancée’s respectable family, and because he won’t accept becoming a police ‘snitch’. His employer does not pay his wages; Koemtzis “sues” him (he probably meant a law suit), yet the court case is constantly deferred. Koemtzis faces a lot of problems; he is forced to rob the man and is sent to prison. There he is subjected to physical and psychological torture (let us not forget this occurred during the period of dictatorship), and just a few years later, his case will serve the most apt confirmation of the motto that "violence breeds violence”. "... a thousand thoughts were spinning through my mind. I was looking for a solution to restore the wrong thing I had done ... I suffered terribly and tried desperately to pick out a picture of the massacre, and I could not. And even now I cannot, even though I still struggle to... It seems that whilst I was sowing death, mindlessly, like a robot, I was occupied by the demon or the beast that nests inside me...». And here begins his description of prison and the penal system in general (in a time not so long ago): "In prison you meet all types of characters, the sensitive ones and the numbed ones. Most of the sensitive ones search to find a lifeline. The numbed ones have resigned themselves to a hopeless existence, spending their days engaged with sinister intent. They are like animals, and most of them look to turning any youngster dropped into prison for the first time, like them: immoral and depraved, with no respect for human dignity. In a word, they are pimps, snitches, paedophiles; they carry all the evil of the world upon them. 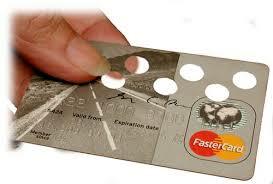 That is why the Ministry of Justice should not keep recidivist offenders and first-timers together...". The book closes with a spare epilogue: "... In March 1977 three wardens announced to me that I had been spared death, saying: "The state has been compassionate. Now it is up to you to become better." I replied that I could only become worse, not better. Finally, the Ministry of Justice ordered my transfer from prison in Heraklion, Crete, to a worst prison (a hell prison) in Corfu. I was in hell from July 21, 1976 to 1982. ..
... I was released on March 29, 1996”. The approach for reviewing this work lies somewhere between artistic and criminological criticism. The criminological value of the book is indisputable. The study of a criminal autobiography – a practice adopted by the ecological Chicago School - can lead us to valuable conclusions about the reasoning and importance given in the perpetrator’s own words when describing his actions, and in observing the moral code he follows. 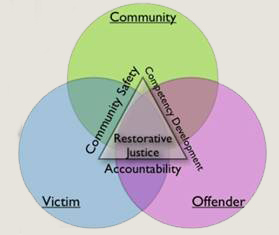 The analysis of criminological phenomena through the eyes of the offender may help practitioners to analyze and propose improved prevention policies. 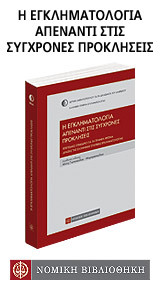 In addition, through the study of this autobiography we uncover - page by page - a materializing of the theories of social reaction based on the "self-fulfilling prophecy" of the label or stereotype (see K. D. Spinellis; Criminology, Contemporary and Past Directions; 2nd edition; Sakkoulas Publications, Athens-Komotini; 2005, pp.275-278 – in Greek), and the importance of social responsibility involved in the creation of the offender, through the process of passage à l ΄acte. Dionysis Savvopoulos (a famous Greek singer/songwriter) , after reading "To makry zeibekiko", wrote the lyrics and melody for the song. The Zeimpekiko which takes about 13’30’’ is a slow, drawn out song with unique lyrics which describe vividly the story of Nick Koemtzis life. The dance floor emptied, two policemen remain, dancing, turning their backs to him. The boy shoves them away, crying “This is my song!" with such violence that it is impossible to say what happened down there. Nikos, what have you done? The press presented him openly, no less, as a bloodthirsty beast. Savvopoulos first depicts images of horror/insanity. Every four lines he resumes Koemtzi’s own narration in an attempt to converse with him, understand him (but not to justify him). With this song, that was not commercially successful because of its duration and content, Dionysis Savvopoulos gives form to the saying of the famous Dutch philosopher Benedict de Spinoza ( 1632-1677) "rather than deride, pity or curse human actions, I have taken pains to understand them". In 1980 the director Pavlos Tassios finds in the crime of Koemtzi inspiration for his film. He brings to the cinematographic big screen the murder of that dreadful day in a movie called "Parangelia (a song order)." The cast of the film includes the elite of the greek acting community. Finally, while Katerina Gogos  plays a leading role in the recounting of the incident - as narrator - her poems expressing the raison d’etre of the film. The second part of the film is a presentation of the police arrest. One of the top moments of the film is the cry of "parangelia!" before the star rushes into the dance floor with his knife drawn, and also the scene of the arrest "aim well ... kill me and cleanse society ... Not in the legs ..."
Throughout the film we do not hear Koemtzis referred to by name. Indeed, Tasiou’s script is a dramatised version of the facts, and for that reason it does not accurately reflect the events of that night. Nor was it his intention... The political ramifications of the story are unclear. The movie can be seen as a mosaic of human pain and humiliation. Koemtzis became a symbol of courage. The soundtrack of the film incorporated these poems, and was released on a record (EMI-1981) entitled: “Sto dromo (on the street)" and won the award for best music at the Thessaloniki Film Festival in 1980 where the film took a total of five awards. Nikos Koemtzis killed and served the sentence imposed on him by the State for those crimes. Any attempt at glorifying the perpetrators of such crimes falls on deaf ears, even if this man’s story has inspired art. Perhaps then, should we come into contact with such works, we should be considering questions of how one is born a criminal and possibly what social responsibility applies in these cases. So whilst the offender is “disciplined” in serving his sentence, so should society be concerned when one of its own rejects it by resorting to crime. And whilst the above works were reviewed as primarily cultural artifacts, there can be no doubt their usefulness to criminological analysis, with much to offer towards the development of a social dialogue, an understanding of the criminal phenomenon and ultimately towards its prevention. Zeibekiko is considered a folk improvisational dance from Greece with a rhythmic pattern of 9/8or else 9/4. Zeibekiko is common in Greece and areas around the world with large Greek populations. Throughout history it has been known as an intensely personal dance where people can express their individuality. Only one man at a time may dance it. If another got up, it would be a cause for conflict and possible violence. Traditionally, applause was not sought nor commonly given, out of respect. Pieria is a prefecture of Southern Macedonia in Greece. Its capital is the town of Katerini. Pieria is the smallest prefecture within Macedonia. Thessaloniki, Thessalonica, or Salonica is the second-largest city in Greece and the capital of the Macedonia region. General Yannis Makriyannis (1797–1864) was a Greek merchant, military officer, politician and author, best known today for his Memoirs. Starting from humble origins, he joined the Greek struggle for independence, achieving the rank of general and leading his men to notable victories. Following Greek independence, he had a tumultuous public career, playing a prominent part in the granting of the first Constitution of the Kingdom of Greece and later being sentenced to death and pardoned. Despite his important contributions to the political life of the early Greek state, general Makriyannis is mostly remembered for his Memoirs. Aside from being a source of historical and cultural information about the period, this work has also been called a "monument of Modern Greek literature". It should be noted that Makriyannis had received only the most basic and fragmentary education, and, according to his own testimony, mastered writing shortly before he started writing his Memoirs, while stationed in Argos. The prison of Nea Alikarnassos (New Halicarnassus) is located on the Greek island of Crete, in the municipality of the same name in the Heraklion Prefecture. Nea Alikarnassos was founded in 1925 as a public housing development to accommodate the refugees, who were displaced following the Asia Minor Disaster. The prison is quite old and the facilities have been neglected over years. This prison served the last judicial execution on 25/8/1972. Dionysis Savvopoulos is a Greek music composer, lyricist and singer. He was born in Thessaloniki. In 1963 he moved to Athens, terminating his law studies in favor of his career in music. He met great success from his early days as a musician and soon became very popular, both in Greece and abroad. Savvopoulos has been noted for being politically active throughout his career in music. In 1967, Savvopoulos was imprisoned for his political convictions by the Greek military junta of 1967-1974, led by the dictator George Papadopoulos. Most of his songs are written by himself (both lyrics and music). Katerina Gogos was a Greek actress and poet. She was born in Athens during the Nazi occupation of the country. Before her suicide in 1993 Katerina was featured in over thirty Greek films.